Lakes in Ireland are in abundance. 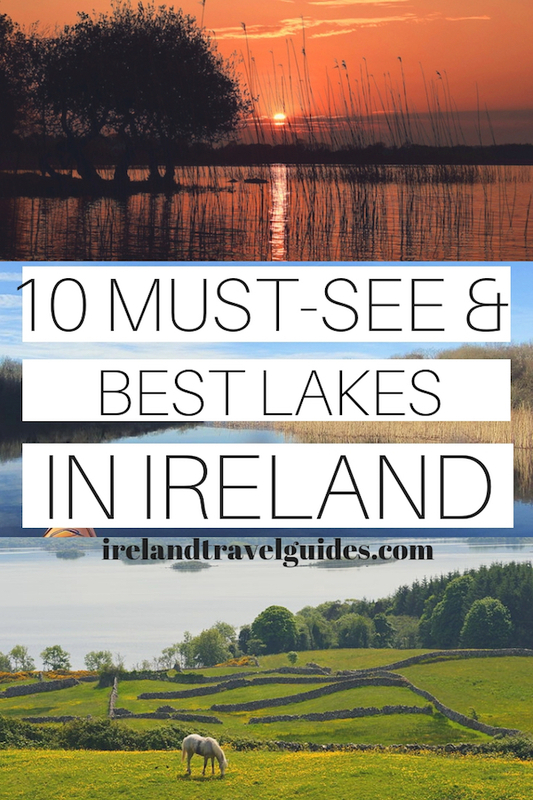 Ireland happens to be filled with gorgeous landscapes and natural wonders such as lakes. Lakes are known as “Lough” in Ireland. It is pronounced as “loch” from the Irish Gaelic which means “lake”. 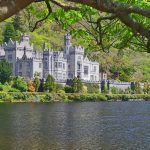 We come up with this 10 most awesome Ireland lakes to visit to help you decide on your next trip to Ireland. Glendalough is a glacial lake in the Wicklow Mountains. It is classified as ribbon lake which means, it is a long and narrow lake formed in glacial trough. The lake is one of the main attractions in Wicklow Mountains National Parks. Along with the lower lake, the valley of these twin lakes have drawn a lot of visitors and it’s one of the favourite day trips from Dublin. 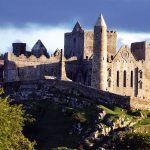 Aside from the lake, the Monastic Settlement which has the round tower, St Kevin’s Church, St Kevin’s Cross and the Cathedral are also among the main attractions. Lough Cullin is a lake in County Mayo popular for anglers due to the abundance of salmon and trout in the area. It is connected in the Atlantic Ocean. 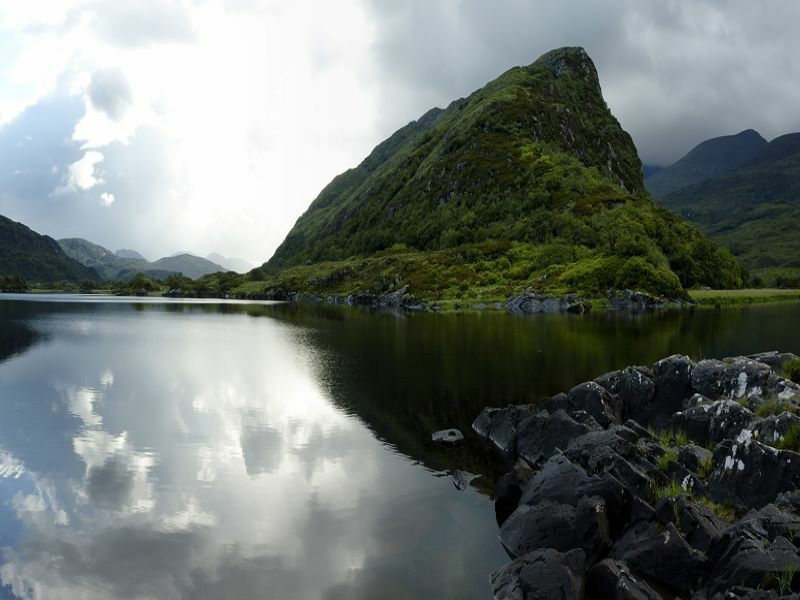 According to Celtic Mythology, the lake was created when Fionn mac Cumhaill was hunting with his hounds; Cullin and Conn. The 3 of them encountered a wild boar and chased it. While running, the water poured from the boar’s feet. Conn was running ahead of Fionn and Cullin and chased the boar for days until the lake appeared. The boar swam back to land but Conn drowned. This happened in the south from Cullin. 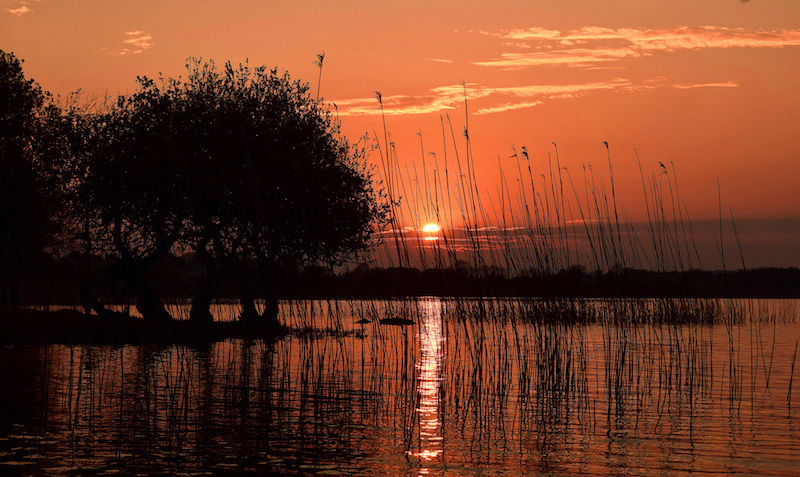 Lough Ree is one of the 3 lakes in the Shannon River Basin along with Lough Derg. The lake serves as a border between the counties of Longford and Westmeath and it’s a popular fishing and boating area. The boats leave from the harbor in Athlone. Lough Derg is a freshwater lake and the third largest lake in Ireland located in the Shannon River Basin. 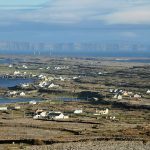 It is a narrow lake with shores in 3 counties; Clare, Galway, and Tipperary. Lough Derg came from the Irish Loch Deirgdheirc – one of the names of Irish Mythology God, the Dagda. In the 19th century, the lake was an important channel for the ports of Limerick and Dublin. Lough Leane which means the “lake of learning” is the largest of the 3 lakes in Killarney. It is 19 square kilometers in size. The River Laune water flows from Lough Leane and then goes to Dingle Bay. 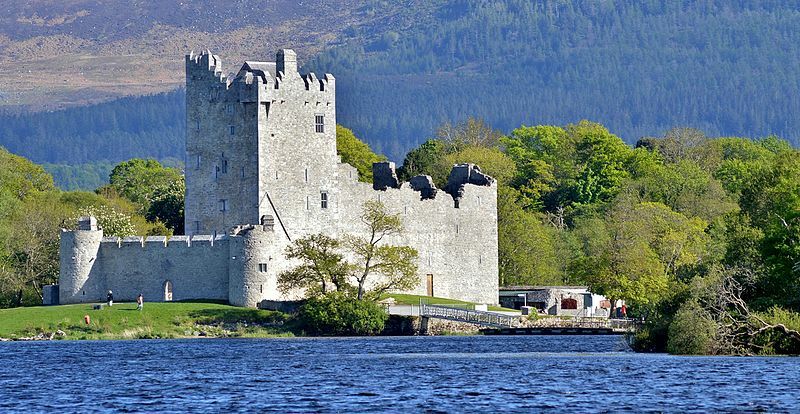 The main attractions in Lough Leane consist of Innisfallen Island, Innisfallen Abbey, Ross Castle, and the Copper Mines. Lough Corrib is the largest lake in the Republic of Ireland. This lake connects to the sea at Galway through River Corrib. Aside from being a Ramsar site, it has also been designated a Special Area of Conservation. 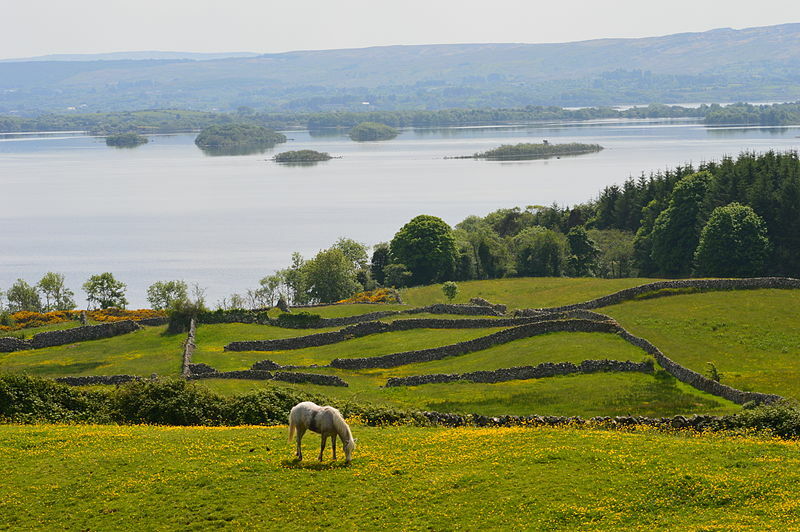 Lough Corrib has over 1300 islands scattered around the lake. Inchagoil Island, one of the islands within the lake has views of the Maumturk range, Joyce Country and the mountains of Connemara. 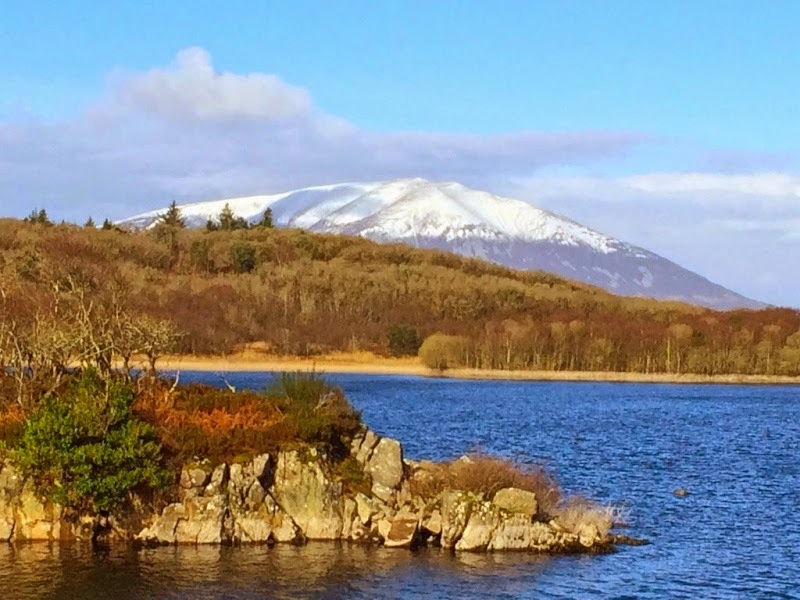 Lough Conn in County Mayo is the neighbor of Lough Cullin. The name came from the hound Conn, who along with Cullin and Fionn mac Cumhaill, chased a wild boar that produced water from its feet while running. 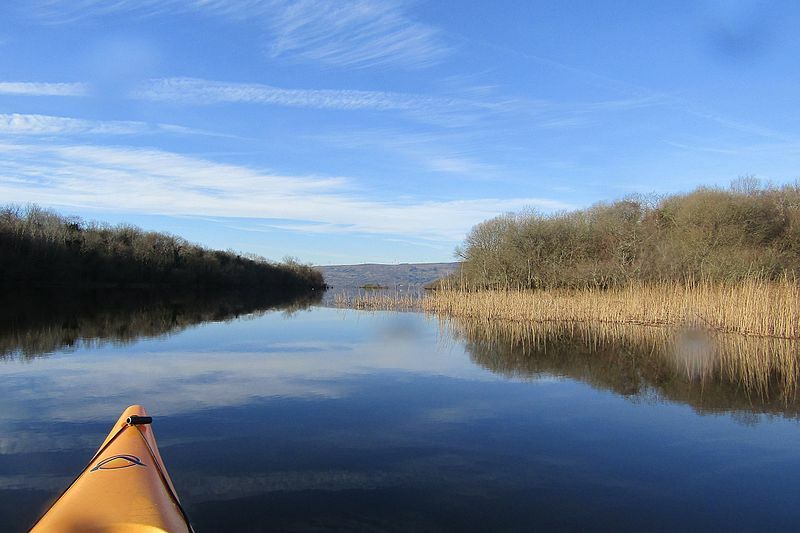 This created the lakes that are now called Conn and Cullin. Lough Allen is the 3rd lake within the Shannon River basin, along Lough Ree and Lough Derg. Lough Allen is an isosceles triangle in shape and further up compare to the other 2 lakes in Shannon river. Slieve Anierin, a large hill in County Leitrim, and east of the lake was the main source of Iron Ore until it collapsed mid 19th century. 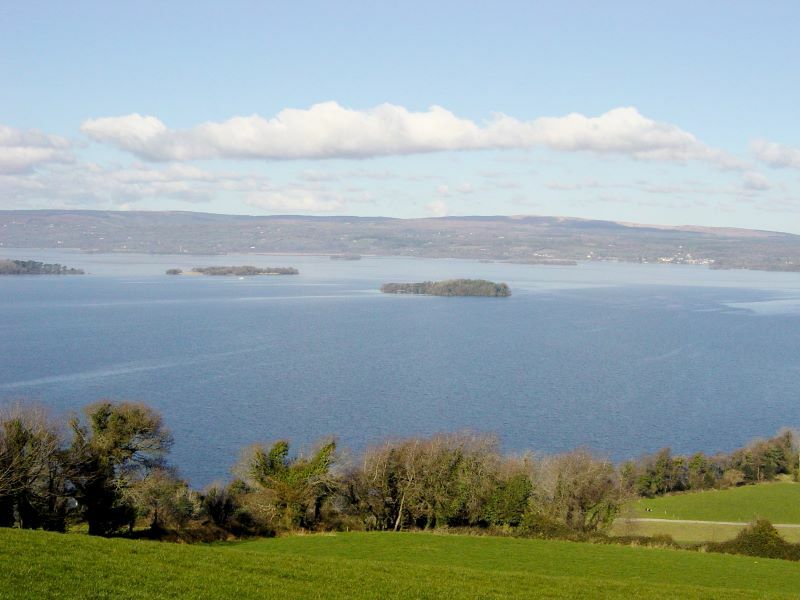 It is also said that Lough Allen has notable reserves of oil and gas beneath its basin. Lough Neagh is located in Northern Ireland and it is the largest lake in Ireland and UK. 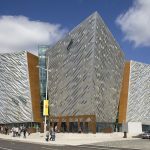 It has a surface area of 392 square kilometers and it supplies almost 40% of Northern Ireland’s water. Lough Neagh is a popular destination for bird watchers because of the variety of birds within the area and the surrounding shores. Muckross Lake is a lake in the middle of Killarney National Park. It is one of the 3 famous lakes of Killarney, along with Lough Leane, and it’s the deepest lake in Ireland reaching 75 meters deep.